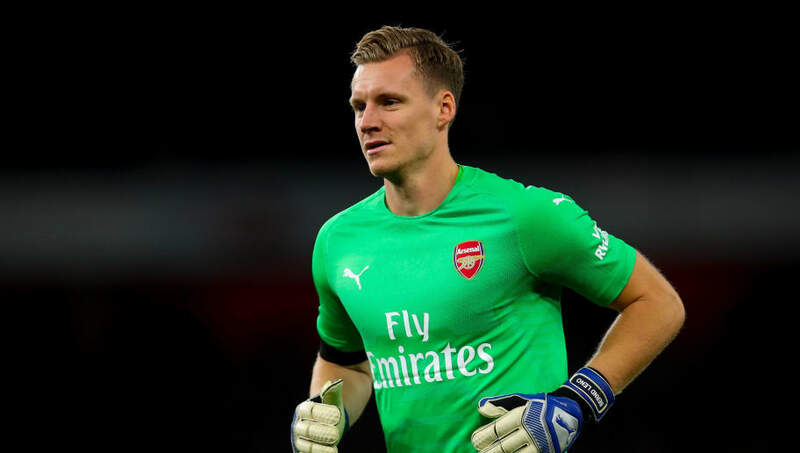 Arsenal goalkeeper Bernd ​Leno has admitted that "nobody feels safe" in the battle to be the club's number one shot-stopper, following his side's 1-1 draw with Liverpool at the weekend. The summer signing from Bayer Leverkusen has overtaken veteran Petr Cech to emerge as first choice, and has been in the starting lineup for Unai Emery's team in the last four league games. Cech started off the season as Emery's number one, playing seven of the first nine league games, before a hamstring injury paved the way for Leno to push his case for the starting position. The German did not look convincing at the weekend, being partially at fault for Liverpool's opener, only able to palm Sadio Mane's cross into the path of goalscorer James Milner in the 61st minute. Gunners boss Emery has said his decision will be based on recent performances in games and in training, shunning a traditional goalkeeping hierarchy favoured at other clubs. Cech is nearing a full recovery from his injury, making the bench for Arsenal's last two games against Sporting CP and Liverpool. His return to form will leave Emery with a difficult decision for Thursday's Europa League clash with Sporting Lisbon at the Emirates, as well as the following league game at home to Wolves. The Gunners are in terrific form, extending their unbeaten run to 14 games on Saturday, including 12 wins and two draws. Boss Emery has quickly put an impressive stamp on the side following the departure of stalwart Arsene Wenger. The north London side will look to extend their lead at the top of their Europa League group in midweek. They lead by three points following their victory in the last group game away at second-placed Sporting CP.